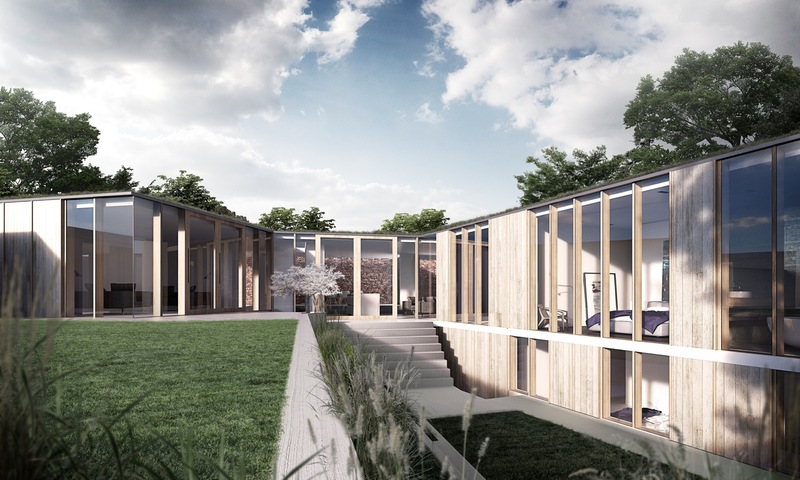 The scheme consists of a new detached four bedroomed family house set within the grounds of Lawnhurst, a mansion house constructed in 1891. 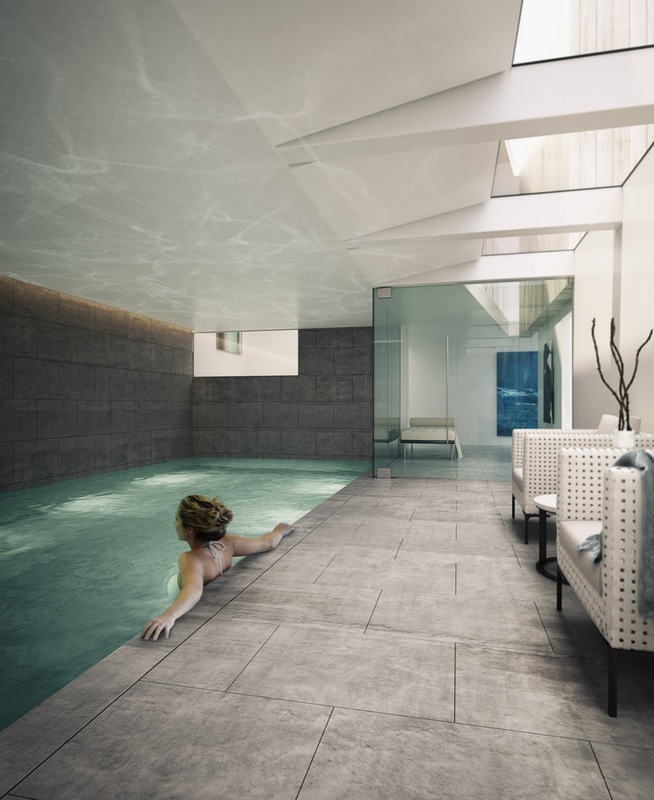 The site is situated within the Didsbury St. James Conservation Area. The character of the conservation area was established by the development of large villas and country houses by wealthy industrialists during the nineteenth century. The majority of these large private residences are now in educational or institutional use, or like Lawnhurst have been converted to apartments. The conservation area today incorporates an array of architectural styles and materials; mature trees which provide screening and a leafy backdrop, together with substantial landscaping which contributes to the quality of the setting; and gardens that are enclosed by tall brick walls and which vary in height up to about three metres. A diagram to respect the site constraints was established whereby the proposed new family accommodation is aligned in an L-shape along the southern and eastern boundaries. This accommodation is effectively hidden from view from the surrounding buildings by siting it behind a traditional brick ‘garden wall’. The garden wall serves as an edge to contain the lawned gardens of Lawnhurst which together with additional planting further enhance the setting of this locally listed building. 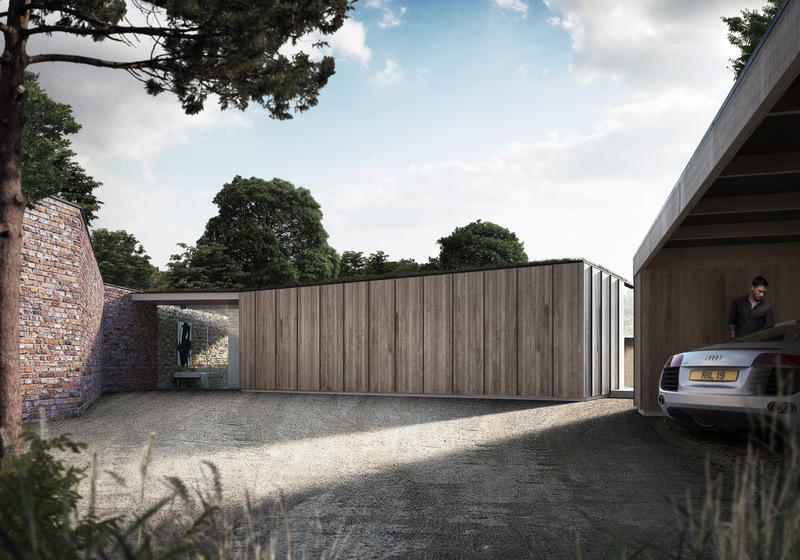 The garden wall extends for the full length of the eastern boundary of the site, providing an effective screen to the apartment car parking towards the north end of the boundary whist simultaneously protecting the privacy of the Lawnhurst garden. 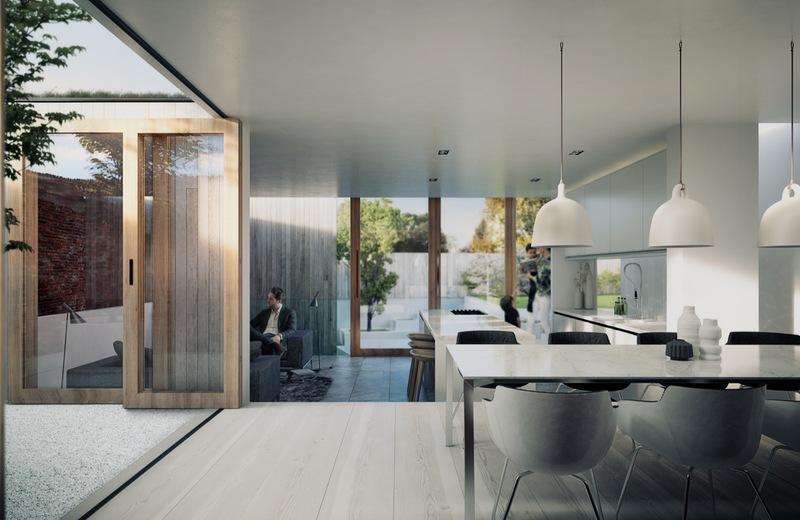 The accommodation is arranged against the new garden wall and is influenced by the Victorian glass house – a lightweight glass clad structure organised against an impermeable shielding element. 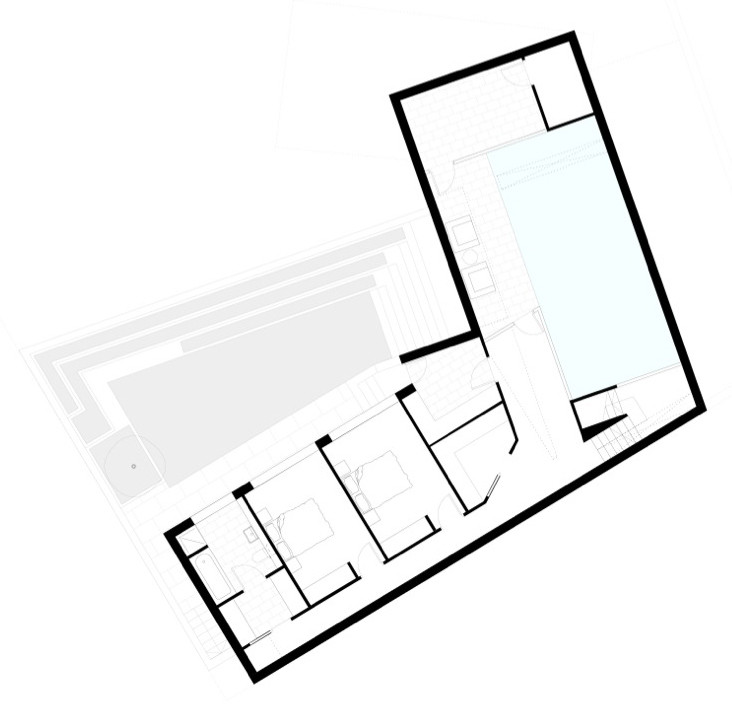 The accommodation is arranged predominantly over a single level with a further lower level to the south side of the site, partially built into the ground, containing bedroom accommodation, gym and swimming pool. A flat green roof covers the building, further disguising its presence behind the wall, also presenting opportunities for assisting biodiversity and rainwater attenuation. All the new accommodation looks into a terraced garden that is completely sheltered from views from Lawnhurst and the adjacent medical centre. 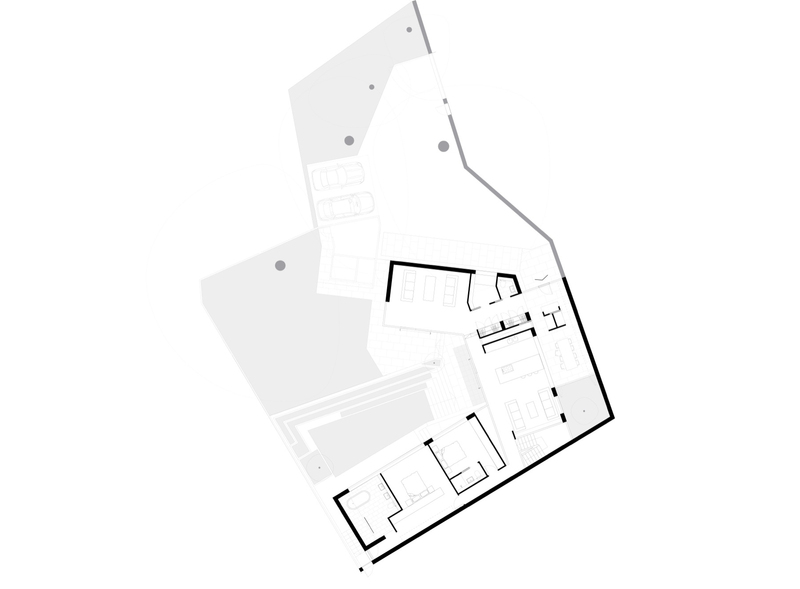 The main living accommodation is south and west facing and is further enhanced by carving out the corner of the building at the junction of east and south boundaries to provide sunlight deep into both levels of the plan. The north facing orientation of the bedroom accommodation prevents sleeping areas from passive overheating and the solid brickwork to the southern boundary abutting the bedroom accommodation provides an opportunity to utilise this element of the garden wall as a potential heat store.